My brother drove us to Changi International Airport (Terminal 3) early in the morning to catch our flight to Seoul, South Korea! 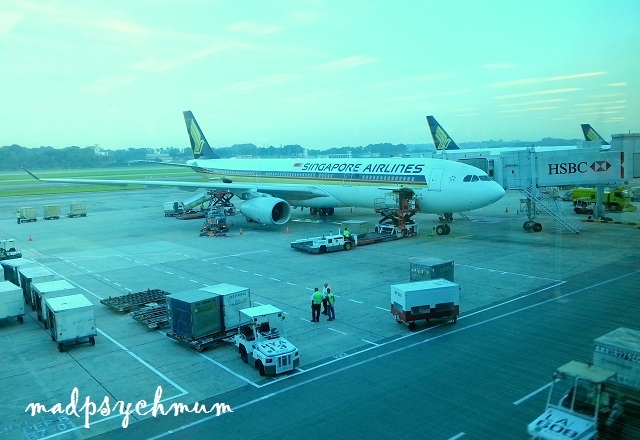 The hubby is a Singapore Airlines fan so it was no surprise that we will be flying by SQ again for our family trip (not to mention that we got our tickets at a low price of $705!). The journey took approximately 6.5 hours and we arrived at Incheon International Airport at 3.25pm, Seoul time (Seoul is 1 hour ahead of Singapore). After clearing customs pretty quickly, we proceeded to the Arrival Hall to pick up the iPhone that we rented. They gave us the latest iPhone 5! Renting a phone allowed us to use unlimited data usage on the go without needing to use your own handphone. The cheapest and fastest way to get to our hotel from the airport was via the Airport Limousine Bus No. 6015 from Bus Stop 5B or 12A. We bought our tickets at the ticketing counters, with each ticket costing us 10,000 won (SGD 10). Our hotel was the 2nd last stop of the journey, which took approximately 45-60 minutes. It was quite a smooth ride all the way to our destination and when we arrived, a pre-recorded passenger announcement system would announce our arrival so that we would know exactly where to stop. 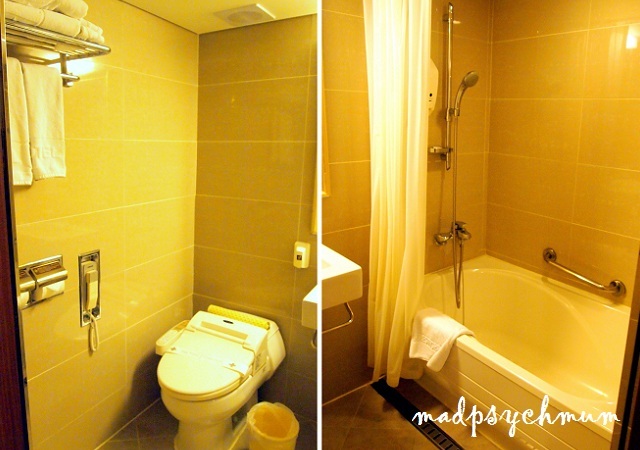 There was a signboard that pointed us to PJ Hotel, which we nearly missed as it was so tiny. Then it was another 10 minute walk before we reached the lobby. After checking in, we checked out our rooms, which were tiny to me but were probably considered large for a hotel in the city. 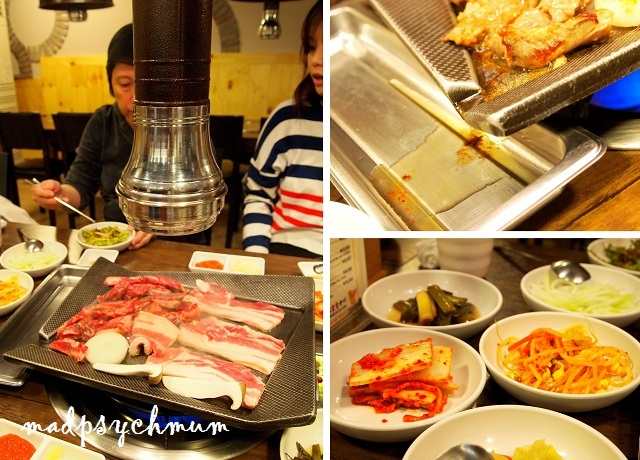 We were super famished by the time we were done settling in so we had our first dinner in Seoul at a nearby BBQ restaurant. 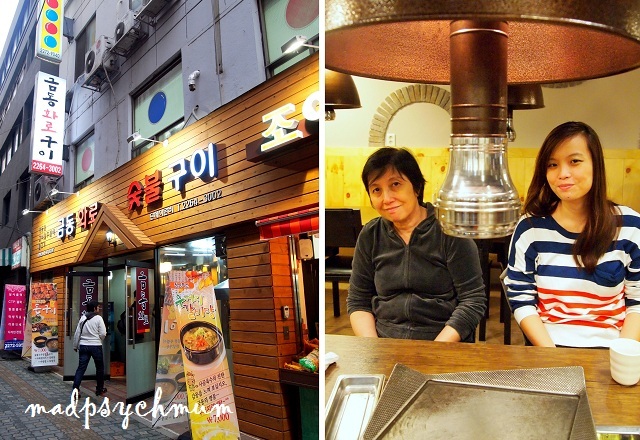 After a pretty satisfying meal, we decide to head to Dongdaemun Market as the night was still young. The cheapest and fastest way to get there was via Seoul's somewhat-complex subway system. First, you would need to buy a T-Money card (their version of our Ez-link card) from a vending machine at the entrance of their subway stations. Select "English" and follow the instructions thereafter. After purchasing the card, you have to place it in the holder (the big rectangle on the right of the red button) in order to top-up or, as they call it, recharge the card. This card is useful as it provided us with an easy access to the subway and most of the public buses. After purchasing and recharging our cards, we boarded a train from Chungmuro Station on Line 4 (light blue) to Dongdaemun Station.